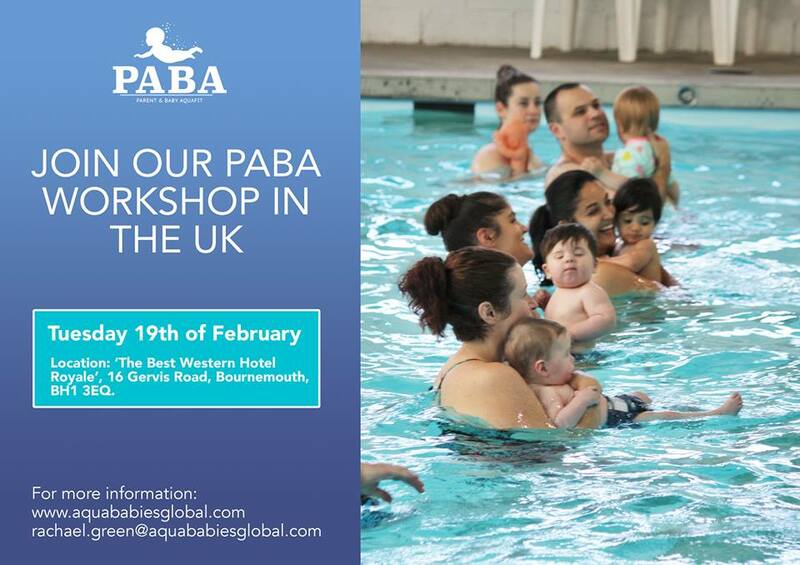 We are running a PABA (Parent and Baby Aquafit) workshop in the UK on Tuesday the 19th of February. The venue is ‘The Best Western Hotel Royale’, 16 Gervis Road, Bournemouth, BH1 3EQ. PABA is a 30 minute aqua-based work out program for parents and babies. It is designed to improve parents’ fitness and to introduce babies to the water.